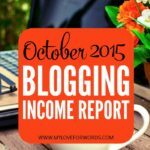 A couple months ago I decided to start sharing my income reports here on the blog , and I was nervous! (You can see September and October’s reports here.) It’s uncomfortable to talk about money, and especially in such an open and transparent way with so many people. But… I did it anyway, and the reason is simple. I’m trying to pay it forward. 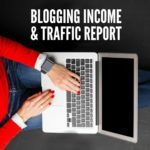 Reading income reports has been one of the most helpful tools in growing my blog, and my hope is that this report will help those who are wanting to earn money from home and either aren’t sure how to do so or if it’s even possible. Last month I was asked why I don’t break down my single payment expenses (like Co-schedule, Tailwind, and Instapage above) and divide the payments out over 12 months of the year. That would mean that instead of saying I paid $0 in November, since I paid everything at once in February, I’d say I paid $9 each month. I don’t do that for the simple reason that I didn’t pay for it in November. Some may think this makes my numbers look artificially high, but I actually disagree. My goal in sharing these is to be as transparent as possible so I want to be honest about what is paid and earned when. Furthermore, there will be months that look usually low when I pay large, yearly payments all at once. Ultimately, everything evens out, and it’s probably really just a personal preference, but I want to as honest and transparent as possible and, for me, that means being straightforward about exactly when payments are made. My pageviews went down a bit in November to 233,900, but I completely expected that. I blogged every single day of October for my 31 Days of Decluttering challenge so by November 1st I was burned out. I went almost two weeks without publishing a single post, and I was doing practically no social media promotion so I was actually pretty happy to have pageviews as high as they were. I hate that I don’t have exact numbers for you this month, but I’m not sure how to find this data within ConvertKit yet… unless I want to add every list and day individually, which I just didn’t feel like doing. This is a little peek at the ConvertKit dashboard and exactly what I’m talking about. Those columns are my sign ups for each day, and each different colored block represents a different sign up form. I love being able to see exactly which forms are receiving the most sign ups. That’s invaluable information! November marked my first month using ConvertKit exclusively. I didn’t send out many newsletters because I was taking a little time off, but one of my goals for 2016 is to improve my e-mail marketing and consistency. Fingers crossed that happens. I hope you all have a very Merry Christmas, Happy Holidays, or wonderful whatever you celebrate and enjoy the last days of 2016! Thanks, Lexi, and you definitely can!! Congrats on the report and thank you for another wonderful post! This is so great! I’m a brand new blogger and get so excited when I have more than 500 views in a month; I can only dream of someday getting 200,000. I have a long way to go but love getting tips and hearing success stories. Thanks so much! Congrats on your new venture, Megan! I can completely relate. I started blogging almost three years ago now, and after a couple months I linked up to my first link party and received 200 pageviews in one day. I was over the moon and practically doing the Queen of England wave around my house! The milestones may get bigger, but they never get old. Thank you for sharing. 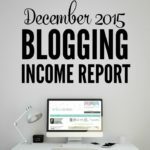 As a new blogger I really love reading income reports. Everyone is so different! Hi Emily! 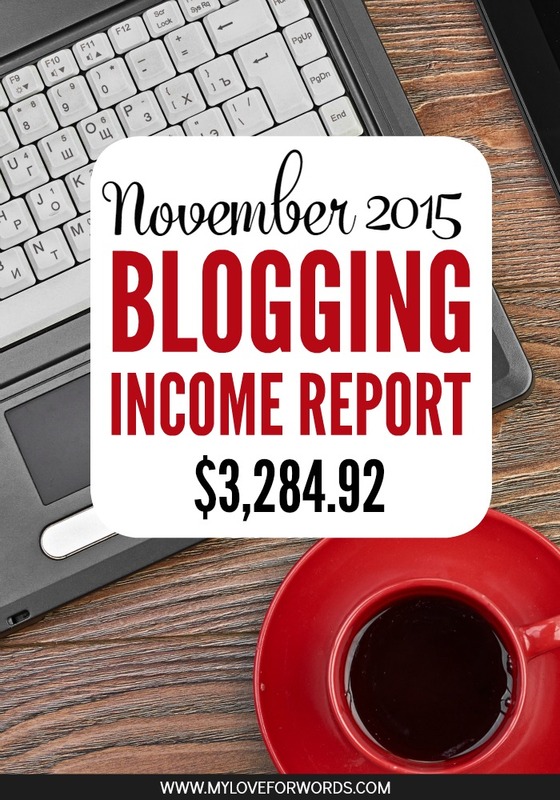 I really find income reports like yours so helpful. I’ve been advised to diversify income, but that is so hard to do when you don’t even know all of the resources out there. 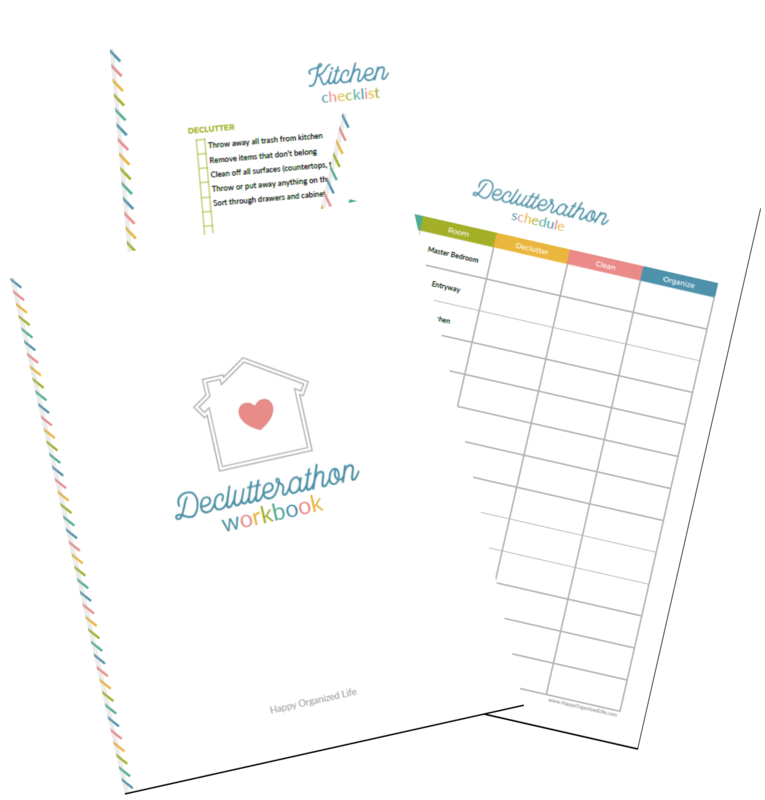 I have bookmarked some of the tools that you use to check them out. I hope you have a Happy and Prosperous 2016! This was really inspiring to read and super interesting. Thanks for your transparency and the inspiration, Emily! Growing a blog has definitely been slow-going for me, but with a full-time teaching job, I wouldn’t have been able to manage it any other way. I appreciate reading other people’s success stories. Thank you! Thanks, Mimi! I can relate. It was slow-going for me too, and I’m a stay at home mom so I was able to steal time here and there to tend to it. I’m not sure I could do it while working outside of the home, to be honest. I am a new blogger also so I found this post to be very helpful. 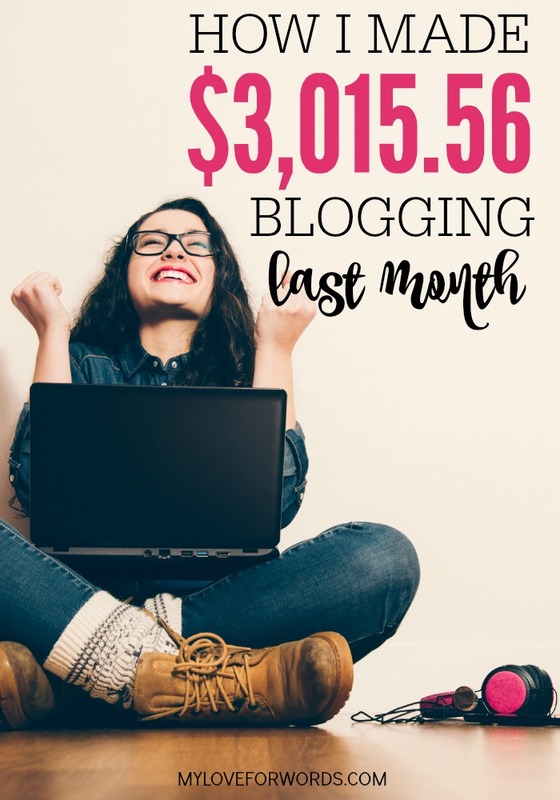 It is good to read about other bloggers success stories. It is an interesting career choice we have made and I think we need to support and encourage each other. Thank you for sharing! 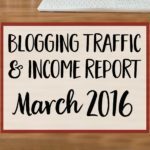 I started blogging a year ago, but just got serious about it a few weeks ago. 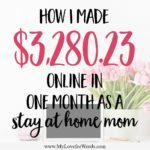 I love blogging and I hope one day I will have the opportunity to have 200 visitors in a day! Do you use a Web Host for your blog? If so, what are the benefits you have seen from it? If not, do you have a reason for not using a Web Host? If you have time, please check out my site. I just started a 30 Day Minimalist Decluttering Challenge you may like. Have a blessed day! Thanks, Erin. I wish I’d gotten serious sooner. It sounds like you’re off to a great start! Keep it up, you’ll get there! Synthesis is my host. I started with Bluehost and was with them for 2.5 years and only had good experiences, but when I started getting around 250k visitors a month I upgraded to Synthesis. I hope that helps!